Irish Mythen was born in Ireland and now resides in Charlottetown Prince Edward Island Canada. “This Island creates music and musicians, art and artists. I found a shift to take things more seriously when I moved here” Irish explains. 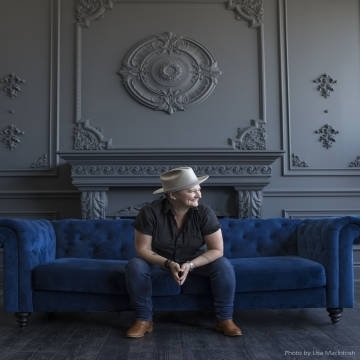 Her latest release, the self-titled Irish Mythen, gained her recognition around the globe with nominations and wins coming from Music PEI, East Coast Music Association, Folk Alliance International and Socan. Write-ups in Australian Guitar Magazine, the Rolling Stone and worldwide have helped plant Irish firmly on the map of 'Must See Artists'.